Nocturnal leg cramps causes, although reported to be many, at Water Cures, we believe that there is only one. Night time leg cramps are caused by fluid and electrolyte imbalanced. They have ruined the sleep for as many as of two out of three people at some time in their life. What do we really know about nocturnal leg cramp causes? Most never report their leg cramps to the doctor. And for good reason. There are no effective cures and until now, there was not an effective treatment other than massaging or stretching the affected muscle. At the bottom you will learn how to prevent leg cramps. Or you can skip the rest of this information and go straight to the Nocturnal Leg Cramp Protocol. 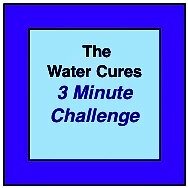 Click Here to go to the water cures nocturnal leg cramp protocol. Nighttime leg cramp or charlie horse usually affects the calf muscle. In addition to the pain, insomnia results. This results in decreased productivity and could result in weight gain (as a result of lost sleep). Most research will point to muscle fatigue and nerve dysfunction and deny electrolyte or other abnormalities. Yet, there is no way to effectively know the specific cause other than providing the electrolytes and water. 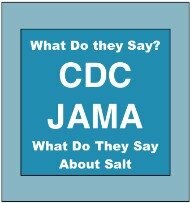 No studies to date have used unprocessed sea salt to test the theory. So, rather than base the belief on science, the belief is based on supposition, perhaps even superstition. The superstition that holistic health care and natural cures can really works. Interestingly, the reports and studies will say that the exact mechanism is unknown. How can it be unknown and yet not be fluid and electrolyte imbalance? Among the nocturnal leg cramps causes are included vascular disease, lumbar canal stenosis, cirrhosis, hemodialysis, pregnancy and other medical conditions. Yet remember, most people do not report. Many young people and runners do not report their nocturnal leg cramps to their doctors. The bottom line, people with none of the above diseases or conditions also have nocturnal leg cramps. Some medications are associated with nocturnal leg cramps. These meds include include intravenous iron sucrose, conjugated estrogens, raloxifene, naproxen ( a non-steroidal anti-inflammatory), and teriparatide. You doctor will determine what the nocturnal leg cramps causes are not. Are they restless leg syndrome, claudication, myositits or peripheral neuropathy rather than cramps? There is limited evidence that exercise and or stretching will help. 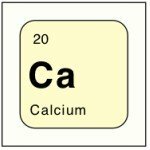 There are also studies that show that magnesium, calcium channel blockers, vitamin B-12 and quinine are no longer recommended. Contrary to medical belief: your body does not do things to its self for no good reason. Everything our bodies do, it does for a reason. The nocturnal leg cramps causes are included here. Whether the body misfires electrical signals or the cells send signals, either way, water and electrolytes play a role in the function of the muscles. Common wisdom is that any fluid works. This is just not true. 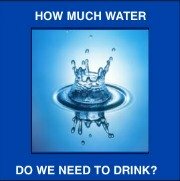 Water has to be in the form of water and not liquids loaded with other chemicals or nutrients. 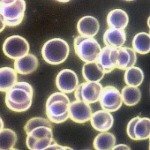 This has to do with the body reads the fluids it takes in and how it uses them. It needs water, the kind that comes out of a faucet or a bottle. The more pure the water, the better. 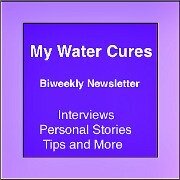 Avoiding fluoride or chlorine will help it work even better. 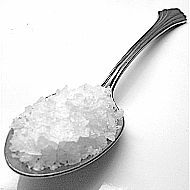 Although several electrolytes play a role in our health, the ones found in unprocessed sea salt seem to work best. Each 1/4 tsp of sea salt has the appropriate amount of minerals in relationship to the sodium chloride for about 10 ounces of water intake. 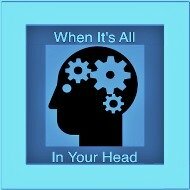 The sea salt helps get the water into the cells and helps the brain to produce the proper electrical impulses. Whether cramps are the result of misfiring from the brain or signaling from the cells, the electrolytes that potentate the delivery of the water and the water delivered will stop the cramps.